Natural wood floors add warmth and beauty to any home. When many people begin their search for hardwood flooring they are looking for the look, feel and high quality of real wood, and so their first instinct is to explore solid hardwood rather than engineered hardwood flooring, believing it is more “authentic”. If this sounds familiar there are a few facts that we like to make our customers aware to help them understand the important differences between these two types of hardwood flooring. Do they look the same once installed? YES … exactly! Engineered hardwood planks have a layer of hardwood. This layer of hardwood is the exact same wood as the solid plank …just thinner! So, when an engineered hardwood floor is installed, it looks the exact same as a solid wood floor. Are solid hardwood floors stronger? NO … just the OPPOSITE! Underneath the layer of hardwood, lies the genius in engineered hardwood. The thin hardwood layer is bonded to a core layer made of plywood, high density fiberboard, or hardwood. The core layer is what makes engineered hardwood floors more stable than solid wood floors. Moisture causes wood to expand, and dry conditions causes wood to contract. The core layer is what minimizes this expansion process. When solid planks expand under conditions such as high heat and humidity, they tend to buckle. Under opposite conditions of cold temperatures and dry air, solid wood can shrink, leaving gaps between planks. The core layer reduces this expansion/contraction effect in engineered hardwood floors. Living in a climate with extreme seasons (hot/humid summers and cold/dry winters) like southern Ontario, this is something that should be considered. Can you get the same finishing options with engineered hardwood? – YES plus more! Because the top layer of engineered wood is actual hardwood, engineered floors come with all the design and finishing options of solid hardwood! PLUS, with the added strength and stability that the core layer adds to engineered hardwood, these planks can be manufactured wider and longer than solid hardwood. 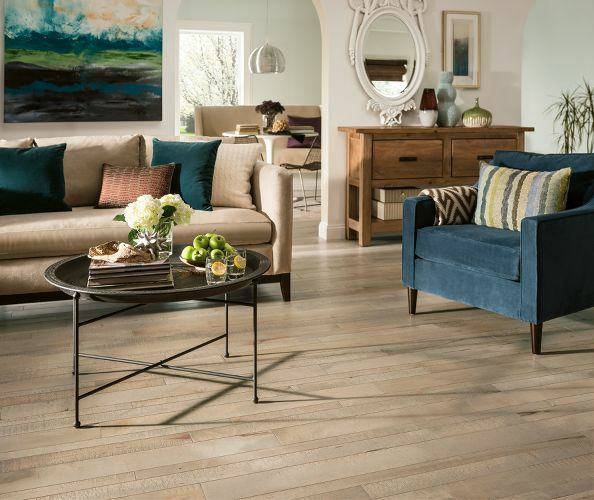 Wide, long planks are becoming increasingly more popular in today’s market. Hardwood floors must be nailed down, which means the area needs to have a subfloor. 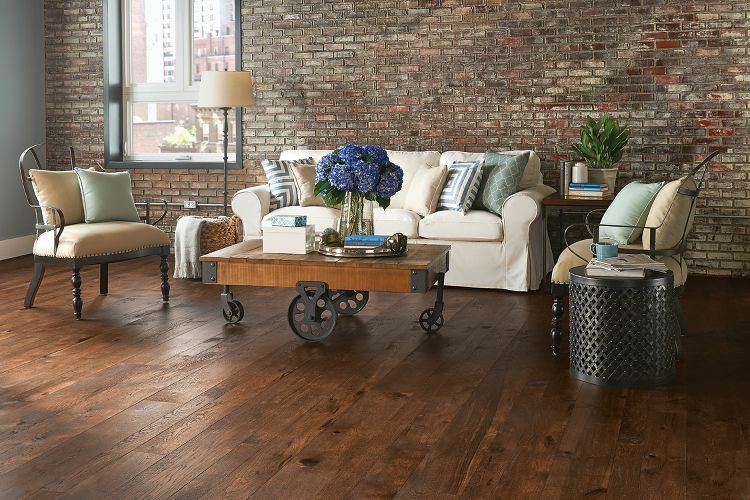 Engineered hardwood can be installed as a floating floor, glue down, or nail down. If using the floating floor technique or glue down, the planks do not need to be installed over a subfloor. Engineered hardwood can be installed over concrete floors. Because of there greater resistance to moisture, engineered hardwood can also be installed in subgrade areas (example basements). Anything else? – YES … lets not forget about the environment! Engineered hardwood is considered more environmentally friendly, because of the thin layer of hardwood used in its construction. In todays world where forest sustainability is becoming a major concern, this is a significant benefit! Want to learn more? We’d love to share everything we know about flooring with you! 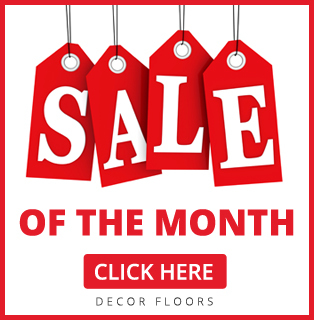 Drop by Decor Floors for a visit anytime or call any of our three locations. 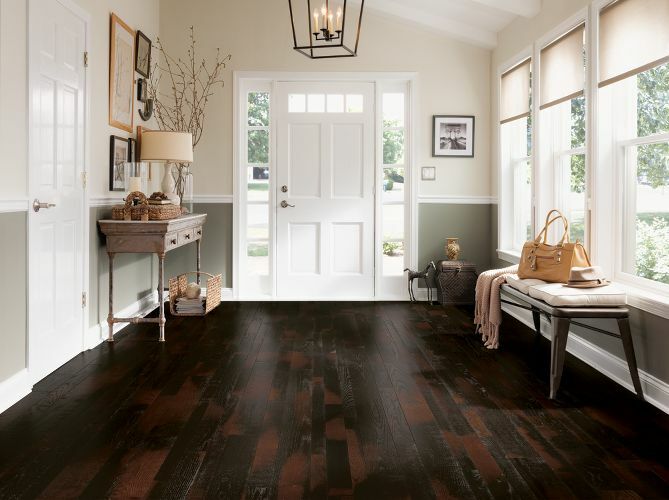 We want to be your source for everything you need to know when it comes to floors! 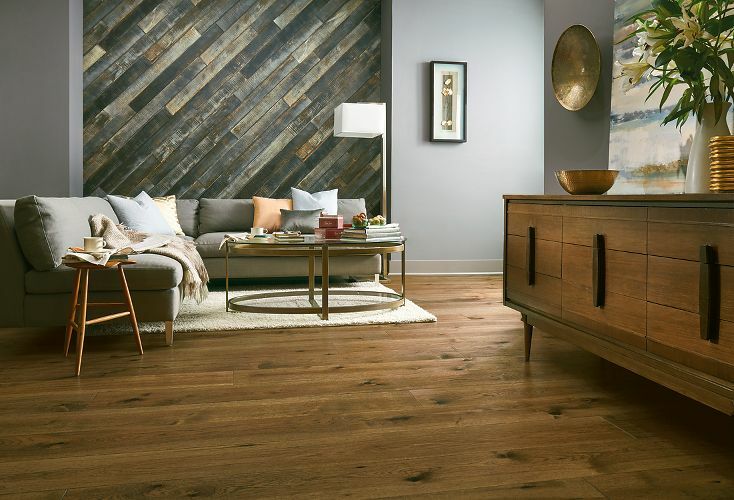 Decor Floors is the largest retailer of Hardwood Floors in Ontario specializing in solid hardwood floors, engineered hardwood, bamboo & laminate. Serving Toronto, Mississauga and Brampton.